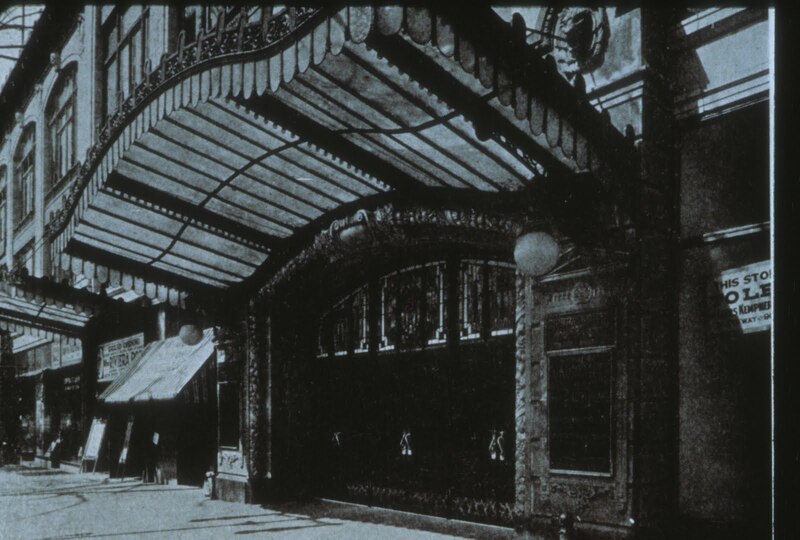 Broadway and 97th street looking south after the 1913 opening or the Riviera Theatre. These are the house right boxes in the Riverside Theatre. In 1911 William Fox, a theater owner and pioneering film producer is finishing construction of a large Vaudeville house on 96th street and Broadway. He is approached by agents of the powerful Keith Albee company - the largest Vaudeville circuit on the East Coast. They want to buy the practically finished 1710 seat Riverside Theater. Mr. Fox says at first says no but then threatened with the loss of all Keith Acts for his already established theaters he sells. 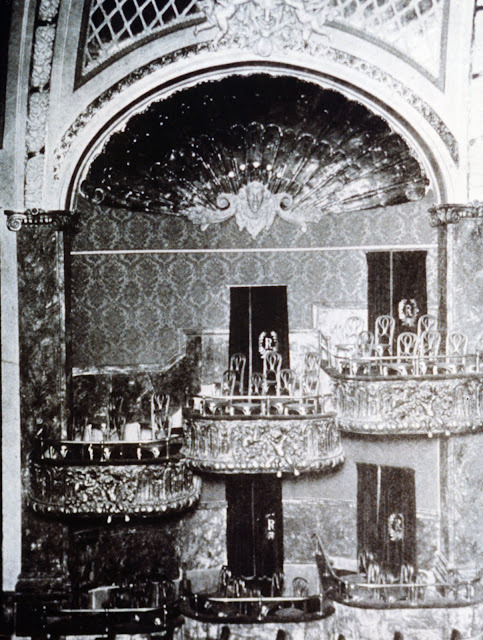 The Riverside Theater was built for high end Vaudeville (only 2 shows per day). Sarah Bernhardt played The Riverside.